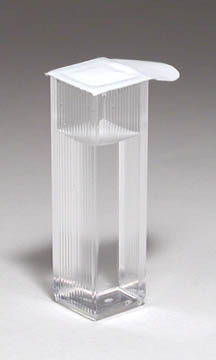 Pre-filled Canine Concentration Test Cuvettes are used to measure sperm concentrations in the 590 or 591 Densimeter. The bulk package is intended for high volume users. Sold in boxes of 100 pre-filled cuvettes and caps. Note: Red ARS Pipette Tips need to be purchased seperately.